This is the true story of Gordon Pearce, an English truck driver determined to get the job done. With the help of Bedouins he crossed three hundred kilometres of unpredictable desert in the height of summer 1978. Aside fromt eh physical challenges he has to battle bureaucracy and begins to dread hearing the word "bukkera" - tomorrow. 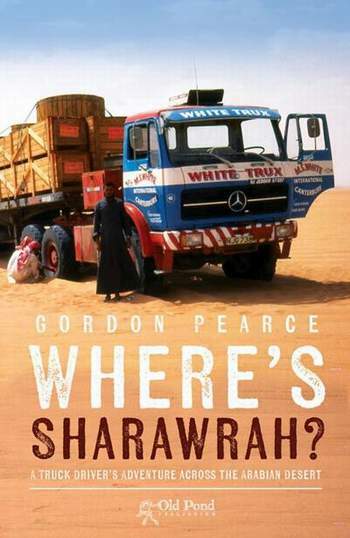 Told in Gordon's ironic , modest style and illustrated with photos from that time, Where's Sharawrah? is a captivating book for vehicle enthusiasts and anyone who is passionate about truck adventures.